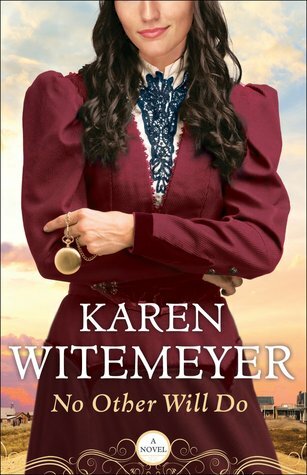 Karen Witemeyer is one of my favorite authors. You can see her name listed in my sidebar with a link to her Goodreads profile. I also had the opportunity to meet her last May in Dallas. It was awesome. I love reading her books because I've never been disappointed. 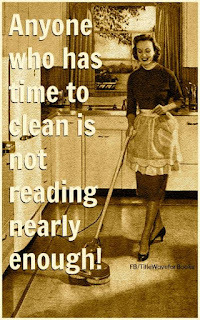 I know it will be clean, and fun, and full of romance! I was lucky enough to be able to read a review copy of her newest book, to be released in June this year, No Other Will Do. Before I give my full review, I'll start by telling you- I've already pre-ordered the paperback from Amazon for my personal library. That says a lot! Emma Chandler is a headstrong, smart, and independent woman who has founded an all-women colony Harper Station, Texas. But her community is under attack by an unknown assailant and she needs help. So she calls the only person she knows she can fully trust - Malachi Shaw. I really, really liked the mystery in this book. I was guessing who might be the attacker, who was the spy, etc... up until the truth was revealed. It was fast paced. I also loved the clean romance. Emma and Malachi fought their affection and attraction for each other from the minute they set eyes on each other again after 10 years. It was entertaining to watch them fight the inevitable. "She glanced up at him, and got her first true glimpse of the man Malachi had become. Oh my. In her excitement to see him, she hadn't actually seen him. If she had, she'd probably still be glued to the porch, clinging to the railing for support." "Mal grinned triumphantly at the smirking moon. Ha! He could be more comforting than a rock. Wasn't so hard. Just had to imagine she was his horse... Yeah. Should've known that wouldn't work." "Willing his body to remain still even though every muscle tensed at her approach, he forced himself to continue breathing at a steady rate. In. Out." Karen Witemeyer has done it once again. The characters are likeable. The romance is endearing. The community of Harper Station is sweet. And Karen's writing is inspirational. Well done. *I was given a copy to review by Bethany House via Netgalley. Thank you!